How much are the costs associated with the production and installation of quality vehicle wrap advertisements? 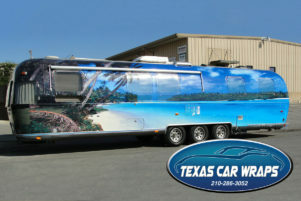 The first, and largest, factor that determines the cost of a vehicle wrap is the size of a vehicle. Vehicle wrap surface areas vary greatly in size. 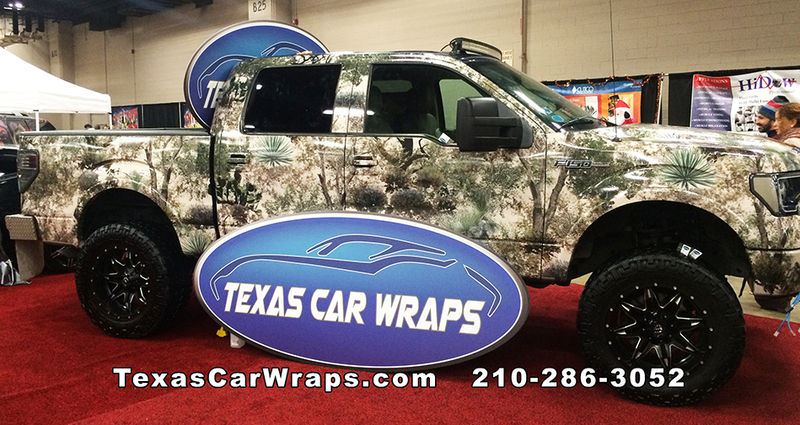 A vehicle wrap is typically measured in square foot units. A very small sub-compact car or Jeep Wrangler can measure less than 100 square feet. On the other side of the spectrum, the surface area of a large motor home or bus can easily exceed 1,000 square feet. All other factors being equal, a motor home, bus or RV should cost about 10 times more than a small vehicle. 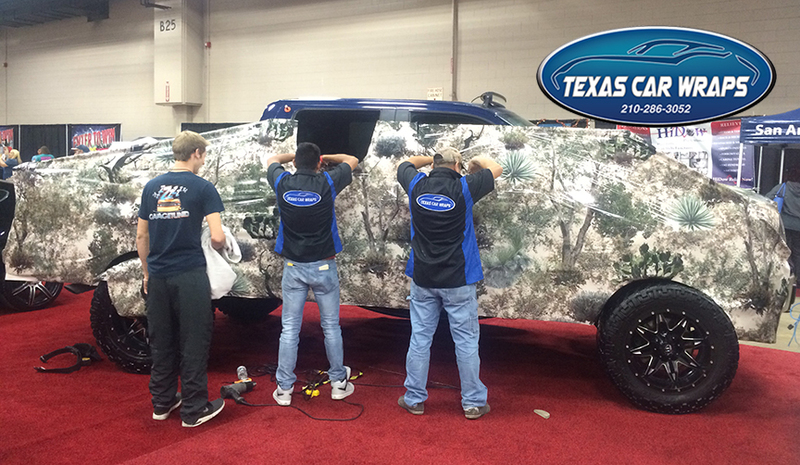 Recommended cost saving measures: Request a partial vehicle wrap. A partial vehicle wrap designed by a professional designer can be made to look attractive by the use of complimentary colors to the vehicle’s paint and the use of strategic graphic transition locations. The second factor that will affect the cost of a vehicle wrap is the shape of the vehicle. 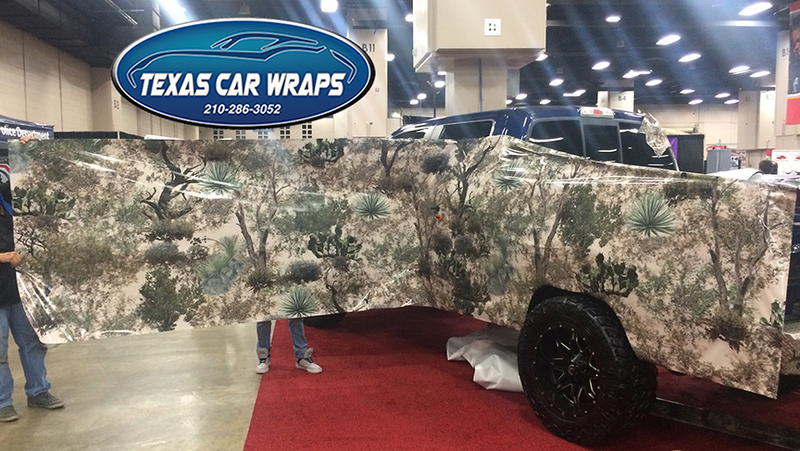 For example, a cargo trailer wrap will cost less per square foot than a SUV of a similar square footage. A vehicle that has a more “squared” shape will cost less than a vehicle that has a lot of curves – the reason for this is the waste factor. Vehicle wraps are normally printed in rectangle shapes. So a vehicle that is oddly shaped will have excess material trimmed off and thrown away during the installation process. A vehicle with lots of curves will also take substantially more time to install, therefore increasing labor costs. Recommended cost saving measures: Choose a vehicle that has less curves and that has a shape that will create less waste. An experienced vehicle wrap company can help you determine which vehicles in your fleet can be wrapped most cost efficiently. The third factor that affects the cost of a vehicle wrap is the graphic design time involved. A simple graphic design can be created in as little as a few hours. A complex graphic design can take dozens of hours. Vectorization and logo recreation can add to design time, ultimately adding substantial cost to the vehicle wrap. Recommended cost saving measures: Keep your car wrap graphic design clean and simple. Remember, a vehicle wrap is a moving billboard and is usually only seen for a few seconds while driving by. Therefore, your vehicle wrap design should be clean and concise to assist with visual clarity. One of the biggest issues that happens during the vehicle wrap design phase is that many corporate vehicle wrap clients cannot find their previously designed vector graphics. Keep track of all vector based company logos created before the beginning of a new wrap to avoid having to pay for logo recreation a second time. 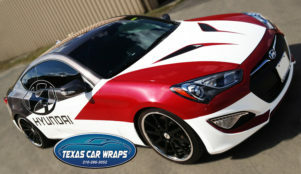 Other special factors that will affect the cost of vehicle wraps is the use of highly specialized car wrapping films. There are now more choices than ever before of a films color, finish and textures available in the 3M 1080 series of films. The 3M automotive family of films now include carbon fiber adhesive vinyl that is available in black, silver and white colors. Some other very specialized films available are metallic and mirror finished chrome adhesive vinyl. Chrome colored vinyl for vehicle wraps is available in Silver, Red, and Blue Chrome colors. Chrome and metallic films are visually spectacular, but are also some of the most expensive films available for vehicle wraps. Special installation techniques and tools must be used in the application of chrome vehicle wrap films. 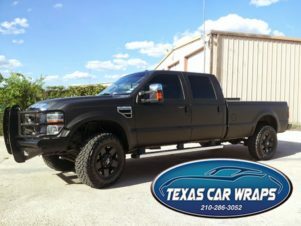 Ask the experts at Texas Car Wraps about how to add mega bling to your car with vibrant colored chrome automotive films.